The image shown above is often used to illustrate what deterministic chaos looks like. 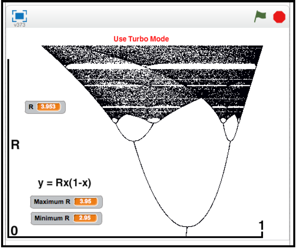 The image is the iterated map of the equation y = Rx(1­ – x) with x =0.1 as the seed and R-settings from R = 2.95 to R = 3.95. 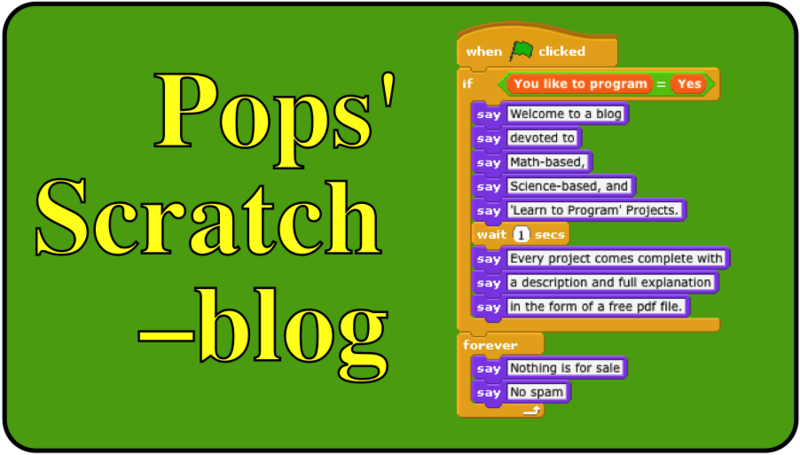 I have uploaded a Scratch project, Chaos Lurks in y=Rx(1–x), to the Scratch website. The image above has the value of R decreasing from the top down. This is the popular orientation of the image. In my Scratch project, I used the normal convention of R increasing up the y-axis. You can view and interact with this project by clicking on this link. The Notes and Credits section of the project gives you R settings for computing an approximation of Feigenbaum’s constant. 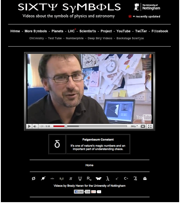 A discussion of Feigenbaim’s constant can be viewed at the Sixty Symbols web site. 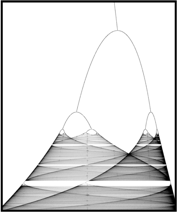 If you would like a three-part tutorial in PDF format on the origin of Feigenbaum’s constant just send an email request to http://www.grandadscience.com.